Yet another patch recently went live on all platforms for FIFA 19. This update follows a major one from just two weeks ago that was heavy on changes to shots and defensive pressure. For this latest patch considerable adjustments have been made to the AI for both CPU-controlled teammates and opposing players. ♦Made some changes to reduce the effectiveness of defending by AI Teammates. ♦In order to make the shot blocking of a defender being controlled by an AI Teammate less effective, we have reduced the distance an AI Teammate defender will stretch to block a shot. ♦In order to make the tackling of a defender being controlled by an AI Teammate less effective, we have reduced the distance that an AI Teammate defender will stretch when making a tackle. ♦Increased the impact to fatigue of playing with defensive pressure. This change will have the biggest impact to fatigue when playing with Constant Pressure enabled in your active Game Plan or when playing with Team Press active. This change will have reduced impact to fatigue when playing with Pressure On Heavy Touch or Pressure After Possession Loss enabled in your active Game Plan. ♦To make a well-timed tackle more effective, we have increased the tendency of the ball to travel further from the dribbler after the tackle, increasing the likelihood that the dribbler will lose possession of the ball. 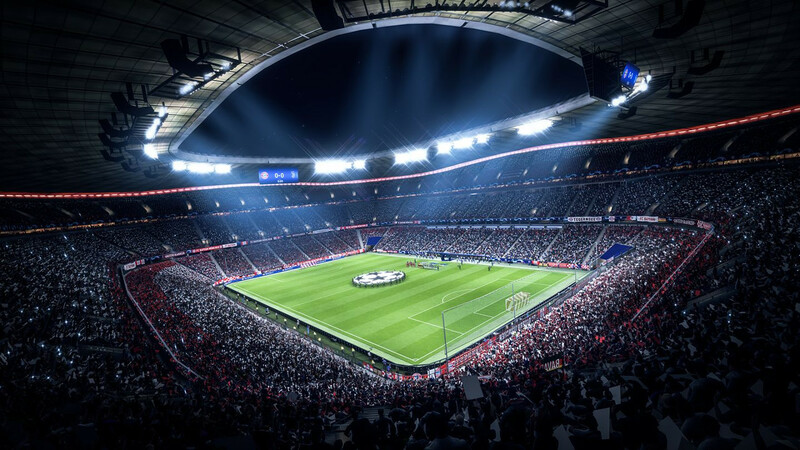 ♦Reduced the number of first time passes that CPU AI Controlled players will make out of their defensive third of the pitch when playing on Legendary or Ultimate difficulty. ♦Sometimes when an attacking player is trying to move towards a loose ball close to the goal, they would slow down and be unable to get to the ball effectively. ♦If the keeper knocked the ball out of play during a penalty shootout, sometimes it would result in a throw-in being taken. ♦We have continued to make changes to the Division Rivals pre-match flow in an effort to reduce the difficulty of some players finding a match. ♦The ‘List Members’ button is no longer shown during the pre-match flow. ♦Voice chat has been disabled in Division Rivals. ♦Stability issue in FUT Champions Channel after watching a replay. ♦Added the assets for 18 new player starheads. ♦Enabled legacy assets for 24 player starheads. ♦Updated the 2D portraits for 2440 players. ♦Updates to a number of team kits, crests and banners. ♦The UEFA Champions League Honor Badge was showing after winning the tournament 4 times instead of 5. ♦Corrected the home and away kit assignments for Wolfsberger AC. ♦Sometimes the crowd would be seen waving a large linesman’s flag instead of a team flag.